This thesis studies the development of knowledge locations: area-based initiatives aimed at agglomerating knowledge-intensive activities in a designated area or city district (e.g. technology parks, creative “factories”). It relates the reinvigorated interest (and qualitative change) in knowledge locations with a number of societal evolutions, and develops a theoretical framework to explain their emergence and development. 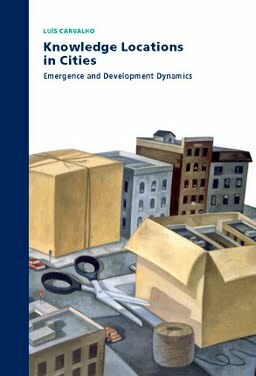 This framework contributes to better ground the study of knowledge locations within the spatial-economic context and dynamics of its host cities and regions. This study also explores the relation between a knowledge location´s features – Specialization, Urban-spatial integration and Management – and their agglomeration outcomes. It shows that there are multiple pathways to growth and agglomeration: no single factor has to be always present to explain it at a certain moment in time. Moreover, the three factors proved relevant but in different ways, and namely to the extent that they contribute to image formation (associated with the identification of a concept) and ecosystem formation (associated with exchange and learning among tenants). Those processes provide two different paths to agglomeration. Their interaction influences the development of a knowledge location over time and, ultimately, the relation between the location and change in its spatial-economic context. The abovementioned phenomena are explored with the support of four European case studies of “themed” knowledge locations, focusing on audiovisual, biotechnology, design and digital media, respectively.